The Vale Guardian is the first major boss in the Spirit Vale raid. This guide provides an overview of the Vale Guardian boss battle, including tactics and tips to help improve your chances for success. Use Food Effect, Utility Effects, Boosters, etc. Every bit of DPS counts. The tank should try to keep the boss facing outwards and away from the green AOE circles. Melee players need to kite the guardian in a circle, avoiding the default cleave attack. 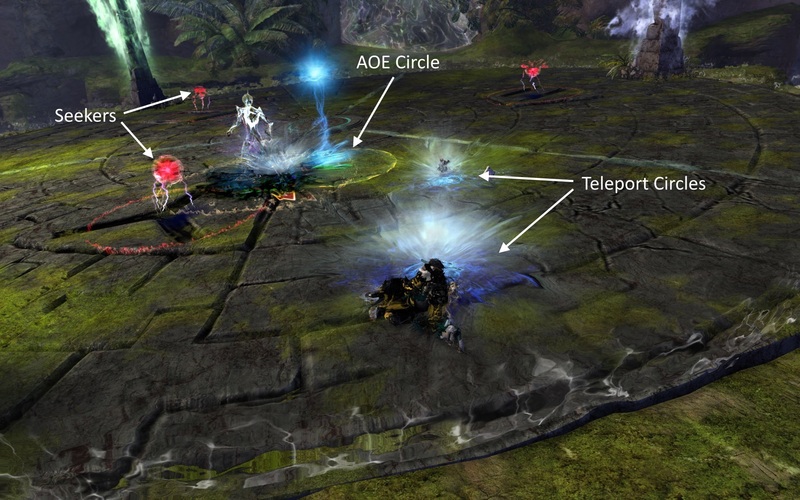 Ranged players’ priority is moving to the green AOE circles as soon as they spawn to prevent a group wipe. During the first phase you need to keep the Vale Guardian near the pillar in the red zone. If he leaves the red zone the green AOE circles may spawn too far from the group. After the Vale Guardian’s health reaches 66% phase 2 will start and players need to quickly split up into their respective teams/zones. Players only have a few seconds before they become attuned to the zone they are standing in. When a mini-boss’s health has been drained, players will have to break their defiance bar to finish them off. After a zone has defeated their boss, they can move to help other zones as long as they stay near each other. Phase 3 is similar to phase 1 but this time the zones will start glowing and deal massive damage. The red zone is the first to start glowing, then the blue zone, and so on, moving clockwise. 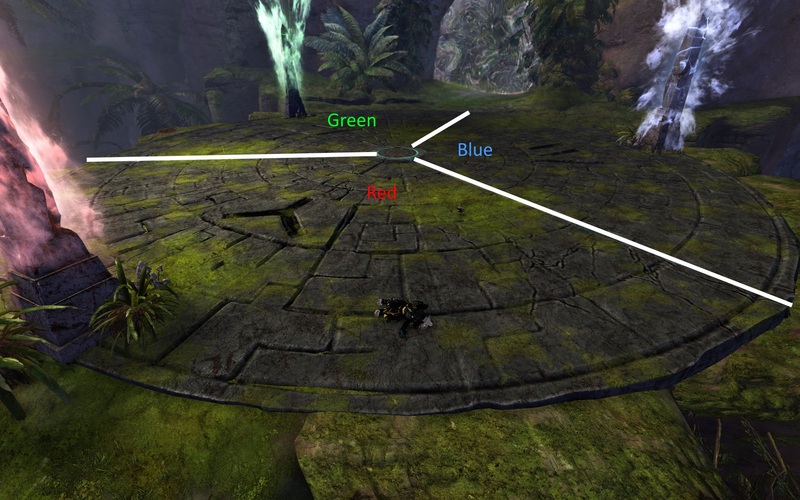 In addition to making sure players are standing in the green AOE circles, the squad must also make sure they keep the Vale Guardian moving clockwise, outside of the glowing zone. Eventually the Vale Guardian will enter a new state where it shoots out a barrage of damaging orbs. The squad must quickly break the guardian’s defiance bar using hard CC skills. Phase 4 is exactly the same as phase 2 and will begin when the Vale Guardian’s health reaches 33%. Phase 5 is similar to phase 3 but with 2 zones that glow with damage instead of 1. The first 2 zones that glow are green and blue, again moving clockwise. Usually a Warrior, Elementalist, Guardian or Herald. This data was compiled from a list of 24 successful Vale Guardian kills. This breakdown is not meant to represent the “ideal” squad composition, but simply to give players an idea of which classes the successful squads are using.